Tracy Wingenroth is the co-founder and managing partner of Pennsylvania Energy Resources Group, LLC, a consulting firm specializing in alternative and renewable energy projects, and of ERG Partners, a public affairs, government relations and strategic consulting firm serving Pennsylvania and Washington, DC. She has more than a decade of experience as a premier lobbyist in the state capitol, widely recognized for her expertise in rail freight and renewable energy issues. Prior to co-founding ERG, Ms. Wingenroth was Chief Operating officer and managing partner of a Harrisburg lobbying and public affairs firm. Ms. Wingenroth is recognized for her skills in government relations, economic development and state procurement. She specializes in the use of state regulatory, tax and business incentives used to stimulate economic development and job creation. Over the last eight years, she has assisted clients in securing more than $85 million in economic development, alternative and clean energy funding, budget and capital financing. 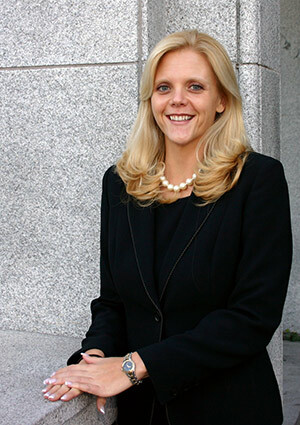 Ms. Wingenroth has represented more than 20 railroads and major corporations. She has also served as coordinator of three statewide nonprofit associations and coalitions. Tracy directs ERG’s government relations efforts in transportation and rail freight funding, rail regulation, tax reform, consumer protection, energy, homeland security and emergency management in both Harrisburg and Washington. Successfully leading numerous public and community relations outreach efforts, Ms. Wingenroth has saved ERG’s clients millions of dollars. Ms. Wingenroth also plays an essential role in ERG’s strategic planning processes, business expansion opportunities and policy development. Tracy received her Bachelor’s degree in Political Science from Millersville University and Master’s degree in Public Administration from Penn State.